Serviced here, Non-Smoker vehicle, Excellent Service History, Excellent Condition. PRICE DROP FROM $23,995, EPA 21 MPG Hwy/15 MPG City! 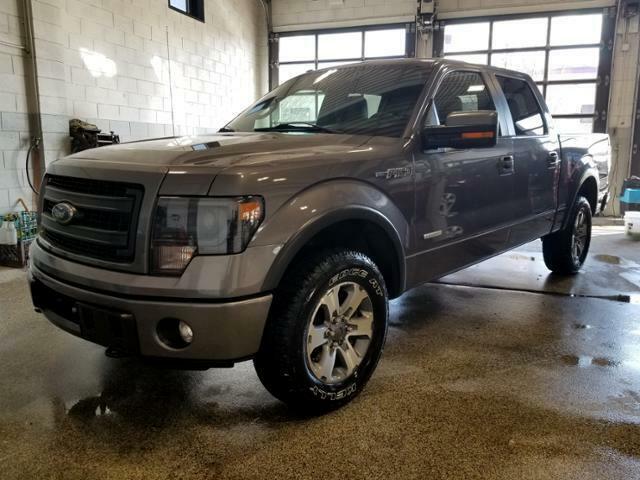 Heated Leather Seats, 4x4, Running Boards, Satellite Radio, 3.5L V6 ECOBOOST ENGINE, LUXURY EQUIPMENT GROUP, Aluminum Wheels, Trailer Hitch. BUY WITH CONFIDENCE FROM SOMEONE WHO SELLS WITH CONFIDENCE. Our mission is to make your car buying or selling experience simple and hassle-free. Call us today at 414-425-4500 to schedule your test drive! Guaranteed approval financing! LUXURY EQUIPMENT GROUP rearview camera, reverse sensing system, remote start, trailer brake controller, heated/cooled 10-way pwr leather front bucket seats w/driver seat memory, dual-zone electronic auto temp control, black leather-wrapped steering wheel, HID headlamps, pwr adjustable pedals w/memory, pwr-sliding rear window w/defroster, pwr-folding heated exterior mirrors w/integrated turn signals & painted skull caps, driver side auto-dimming exterior mirror, media hub w/(2) USB ports, audio/video input jacks, SD card reader, SYNC services w/GPS based turn-by-turn driving directions & traffic reports & info services, MyFord Touch w/5-way steering wheel control switch, 8 LCD touch screen in center stack, universal garage door opener, Sony AM/FM stereo w/CD . America's top-selling pickup is offered in a substantial array of trims and powertrains to accommodate all manner of towing, hauling or off-road needs. -Edmunds.com. Visit Smart Sales & Leasing online at www.smartsaleslesaing.com to see more pictures of this vehicle or call us at 414-425-4500 today to schedule your test drive.